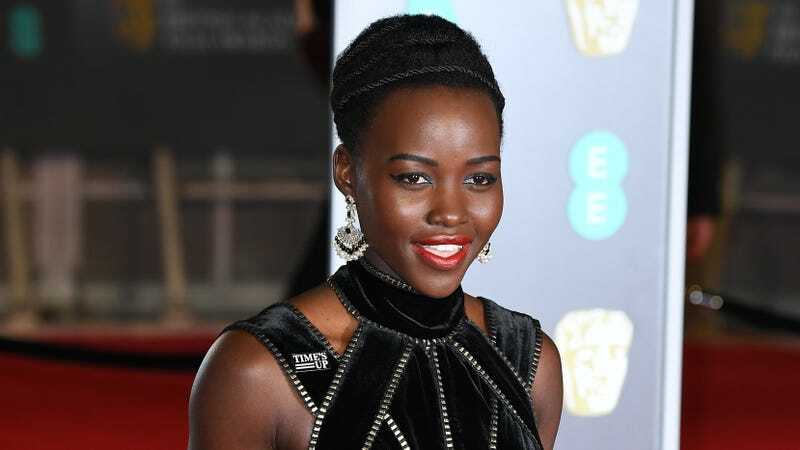 According to Deadline, Lupita Nyong’o is going from Black Panther to Born A Crime, the movie adaptation of Daily Show host Trevor Noah’s autobiography of the same name. Nyong’o will star as Noah’s mother, Patricia, who was apparently “an important figure to her son in his formative years.” That’s a little vague and generic, but the Amazon description for Noah’s book explains that the relationship between his white father and black mother was illegal in South Africa at the time of his birth, so Noah was mostly kept indoors for the first few years of his life and had to deal with the “extreme and often absurd measures his mother took to hide him” from the government. The Amazon listing also makes it clear that Noah’s mother is a major part of his story, noting that she was determined to save her son from the cycle of poverty, violence, and abuse that would ultimately threaten her own life—she was shot in the head by Noah’s stepfather in 2009, but she survived.